Installing a new air conditioning system is a serious step towards home improvement, energy-efficiency, and air quality. It is key that the right decisions be made, especially when choosing the correct type of air conditioning system. We understand that the most important part of the selection process is your budget and needs. 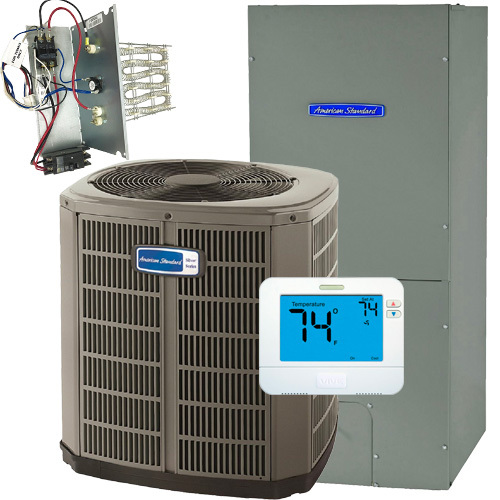 Customers can save serious money on cooling costs, repairs, and even on the installation itself when the right factors are considered while selecting a brand new system. That's why our qualified technicians take the time to learn about the air conditioners they sell, financing options, and extended warranties available before they install them. Its true, replacing your existing air conditioning system can be a big investment, but its often a wise investment. Remember, we make installation affordable!